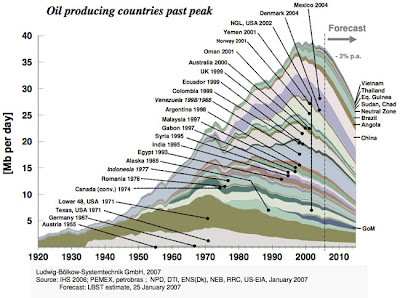 This is what peak oil looks like. 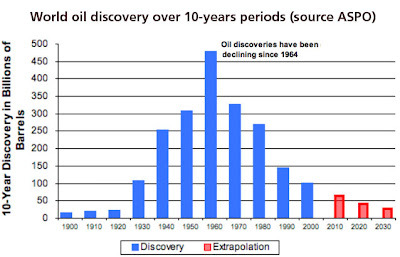 There's still oil, but there is less of it, we aren't finding it as easily or in as great quantities anymore, it is harder to get at (deepwater) harder to turn into usable fuels (shales, tar sands) and more costly in general to produce. Many countries have peaked already. More will follow, and all eventually must. But long before they all do we will still be on the slippery and steepening slope down from Hubbard's Peak. The overall result? Much higher costs, and some severely negative consequences. Must we wait for this very foreseeable crisis? 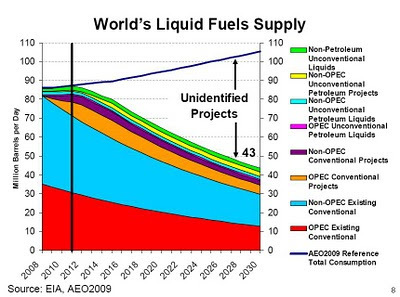 Or can we get on with creating the new energy economy now?